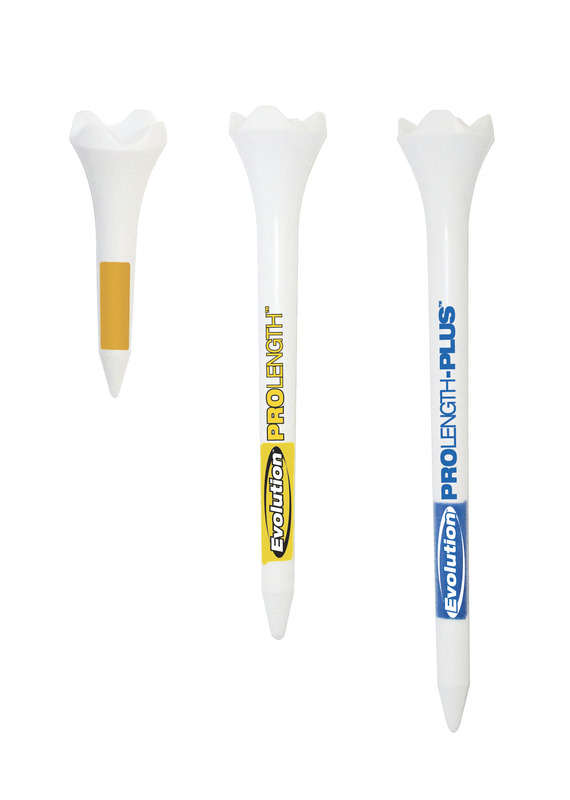 Logo Evolution Golf Tees 3.25" Logo Evolution Golf Tees 3.25"
Logo Evolution Golf Tees 3.25″ 1000 pc are popular performance golf tees. (PTS) Evolution is a plastic performance tee engineered with special low-resistance tips that create less friction between the golf ball and tee – resulting in longer drives. Every golfer wants longer and straighter drives and Evolution delivers. Logo Evolution Tees look amazing! Featuring durable ABS material, each Evolution tee is designed to last longer and provide you with the most consistent hitting height every time. Hit it long…hit it straight…with Evolution Tees! Now you can brand Evolution Tees with your Company or Event name for optimum impact. Evolution Tees are extremely durable, giving your investment a much longer life. Minimum Imprinted order is 1000 Evolution Tees. 10000+ Custom Tee orders click request quote. Turnaround time is 10 days. Whether you need plain or logo golf tees, www.greenstowel.com is your headquarters for golf tees and golf outing prizes. One of our company missions is to help Charitable Golf Tournaments and Companies with fundraiser gifts. In fact, we have donated to hundreds of Charitable Golf Outings with the perfect goody bag gift idea for their events. Over the years we have helped church fundraisers, outings for schools and school athletics programs, military veterans and wounded warriors events, golf tournaments for various disease related causes, homeless and children related tournaments, and many other awesome charitable fundraiser causes. Please go to our testimonials and read our thank you letters. Feel free to contact us about special deals for your Charity Golf Fundraiser Event.